Leesburg is a historic and vibrant town with much to offer new residents. Leesburg VA real estate offers a wealth of home choice at affordable prices as well as short commutes to Washington, D.C. and a very high quality of life. Thanks to the town’s booming economy and excellent amenities, real estate in Leesburg has never been hotter. With a robust and historic housing stock and plenty of great attractions nearby, Leesburg real estate is a great deal for those looking to relocate to Northern Virginia or invest in real estate there. 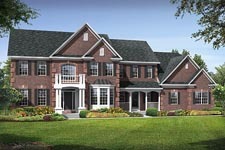 Leesburg VA homes are both highly affordable and stable. Real estate values in the town are bolstered by their close proximity to the nation’s capital and reputation for historic charm and ambience. Leesburg VA homes come in a plethora of choices, from single-family homes to duplexes to modern apartments and condominiums. Leesburg also boasts a robust and diverse inventory of historic homes that date back to the 19th century. Leesburg homes are renowned for their high value and surprisingly affordable prices. Leesburg real estate is a fantastic deal for young professionals, retirees and families looking for a safe and affordable place to live. Leesburg properties should be strongly considered by those looking to move to Northern Virginia. Few other towns in the region offer the home choices and historic charm that Leesburg does. Leesburg also offers a wide array of amenities and a top-notch quality of life for its residents to enjoy. The town is home to a wealth of historic sites that enrich its character and quality of life like the Oatlands Plantation, Morven Park and Dodona Manor. The town is served by the Loudoun County Public Schools system, a district noted for its academic excellence and reputation for high standards. Leesburg is also home to a number of quaint shops and top-notch restaurants and cafes for its residents. Additionally, the town offers a short commute to Washington, D.C. and other nearby cities like Arlington and Alexandria as well as a strong local economy. Job seekers will find plenty of openings, especially in sectors like education, healthcare, business, real estate and government services. The town is also home to a wealth of parks and public spaces like Ida Lee Park and the beautiful Red Rocks Overlook Regional Park, not to mention a number of community events and festivals like the Leesburg Flower and Garden Festival. With its excellent amenities, prime location and historic charm, Leesburg represents one of the top real estate opportunities in Northern Virginia. Those interested in homes for sale in Leesburg should see a local Leesburg REALTOR® or Leesburg real estate agent, like Gloria Macneil. Thanks to the town’s high quality of life and affordable property values, there’s never been a better time to be a Leesburg home buyer. 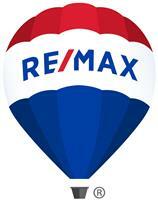 Call Gloria Macneil today for assistance with Leesburg VA real estate.